With Windows 8 now released, we are going to begin to see heaps of touch screen hybrid laptop/tablets being released onto the market. 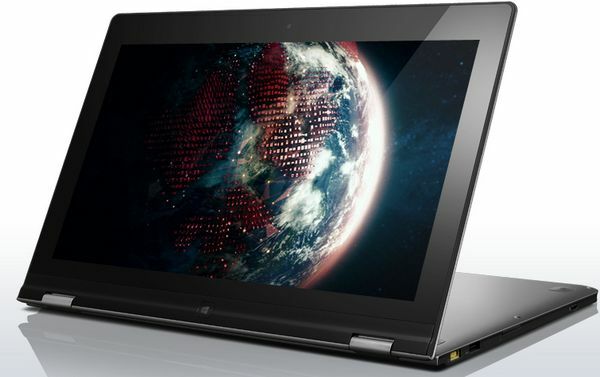 The Lenovo IdeaPad Yoga 13 is one of these sorts of devices. The device was first announced at CES 2012, with it being one of the first kind of hybrid laptop/tablets announced running Windows 8. 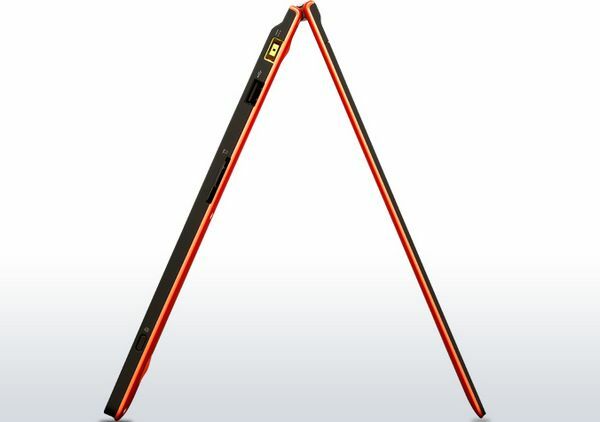 The Lenovo IdeaPad Yoga 13 is what you would expect straight from the name. It can bend like it’s doing Yoga, and has a 13.3 inch touch screen. The Lenovo IdeaPad Yoga 13 can be in the position of a normal laptop, but then you can bend the keyboard all the way back so it turns into a (very thick) tablet. One small problem is that when you have it in the tablet form, you have the keyboard on the back of the device, with the keys facing outwards. The Lenovo IdeaPad Yoga 13 comes with a 1.7GHz Intel Core i5 processor, 4GB of RAM, 500GB 5,400rpm hard drive, 13.3 inch screen, 0.67 inch thickness, Intel HD 4000 graphics and Windows 8 as its operating system. There is a version of the tablet which comes with an i3 processor, and starts at $999USD. The version listed above starts at $1,099USD. 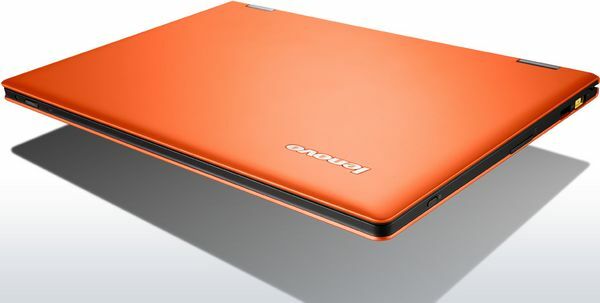 The Lenovo IdeaPad Yoga 13 has quite a simple design, and does look like the usual laptop. 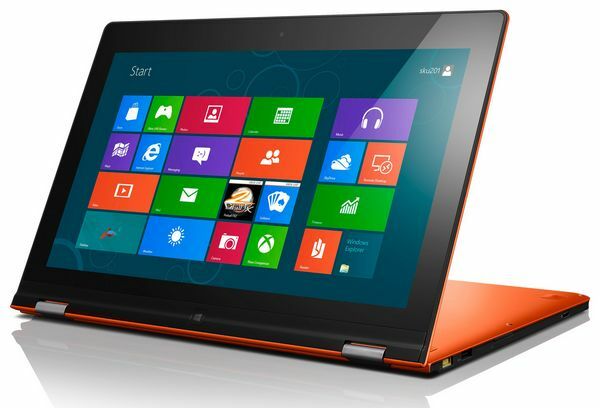 The Lenovo IdeaPad Yoga 13 looks great as a tablet and great a laptop. I could actually see myself using it as both a tablet and a laptop. Depending on whether you want to type on the screen, or use exterior keyboard will depend on whether you use it more as a tablet or a laptop. The keys on the device are a bit odd. I’m not sure how good they will be after long term use. The keys on the keyboard have a rounded bottom, which could be fairly hard to use with some of the smaller keys. Depending on how you use keyboards depends on how annoying or normal you will find these. The Lenovo IdeaPad Yoga 13 comes with 1 USB 3.0 port and 1 USB 2.0 port. It also comes with an SD card reader, Bluetooth, microphone/headphone jack and stero speakers. The Lenovo IdeaPad Yoga 13 has a fairly good battery, so you shouldn’t find yourself having to charge the device all the time. You should get anywhere between five to six hours before having to find your charger. The Lenovo IdeaPad Yoga 13 is a great device and is something which you might find quite enjoyable. There are a few other devices like this on the market, but are they as good as this device? 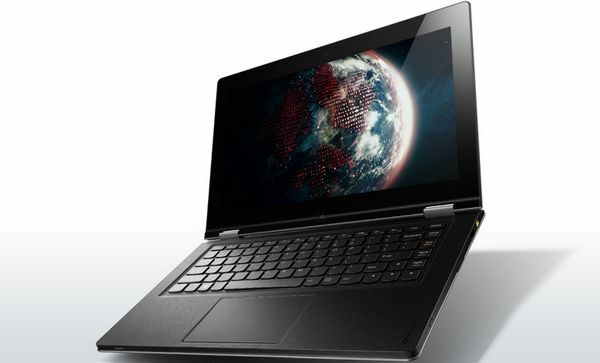 The Lenovo IdeaPad Yoga 13 is a great example of the way laptops and tablets are going. This is the future of laptops and tablets because Windows 8 has forced this upon us, changing the way laptops and tablets will be designed. They have now been bought together and the Lenovo IdeaPad Yoga 13 is a great example of this happening.